This weekend has been a momentous one for 5million people who have shared a hope by petitioning for a better world, 1m+ people marched to show their determination to be heard by the powers that be, and Carys Grady arrived to get her first sense of the world which we have created for her to live in. I’m a grandad for the first time. Mariam is a mum and writer and Michael is a dad juggling home/support time with getting back to the rehearsal room to open Venice Preserved for the RSC in a few weeks. I wonder what Carys will be taught when she gets to school about the trauma that was UK government policy and procedures, pompous posturing and true theatrical inevitability and tragedy. I’m of an age to despair of what politics (rather than government for the common good) has become. It will be for my son’s generation who try and pick up the pieces for Carys to have a world which is safe to live in. I have always been one to live in hope. I hope that sense will prevail before it is globally too late for the planet in terms of climate change. I hope that there is someway for disgruntled voters to be given true and sensible and accessible information so that manipulative thought-police like those behind Trump and Farage/Johnson/Mogg cannot win corrupt elections. I hope that Carys will find a gentler more caring world; and that those who are teaching love, and being at one with nature, and finding a collective positive energy for the world to heal, will be the main voices she hears as she grows up. In the meantime I cheer people who make art like Kath’s Invisible Lines, Mairi Campbell’s Auld Lang Syne and Taylor Wilson’s Walk on the Weill Side, all of which I saw in wonderful Edinburgh theatre spaces in the last week. I cheer and help to assess young performers, writers, filmmakers, choreographers and directors as they study for their first Degrees at University of West of Scotland. I jump at invitations from places like Durham University, The Tron in Glasgow, Edinburgh Festival Fringe, the Regional Young Theatre Directors Scheme, and international producers to go and spend time with the next creators, the makers and the “MA”sters of the future of the creative industries. 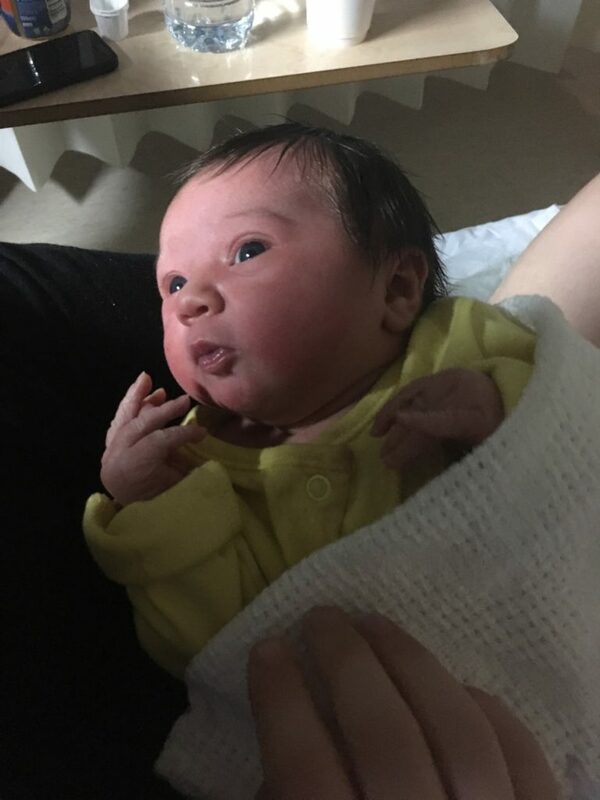 As the first gentle songs are sung to Carys and she hears her first stories and words of love, she starts a journey which is about music and theatre and storytelling which are essential I think to the human spirit, as well as to learning. In time she and others will be able to repair the damage done by the totally destructive”austerity” policies of successive governments to starve society of what makes people thoughtful and inspired – music and theatre and thought. Quite apart from taking away the very bedrock for human survival in many communities in the form of social services support. In time maybe she will see a country which makes a difference in the world, makes things, exports vision and harmony, and collaborates with its neighbours of all faiths and locations across the planet. Maybe. Maybe the will of the 5million will speed that process and she won’t have to wait until she can vote to repair the country she now calls home. Now what is a grandad meant to do. Have another cup of tea and write something I guess. Then see who needs a helping hand in their life and work.